In case you don't know what these are, take a look here. 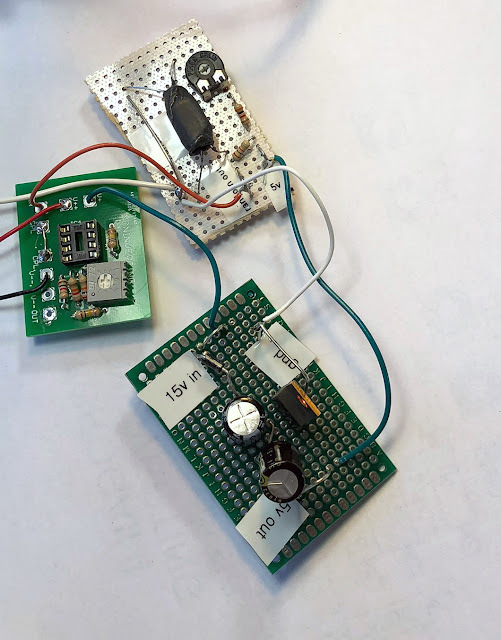 The basic idea is that you power up an LED, which hits a nearby photo resistor; you use the resistor to control V- or current-to-resistance circuits, which of course, are at the heart of a lot of synth and pedal DIY. And maybe more important? 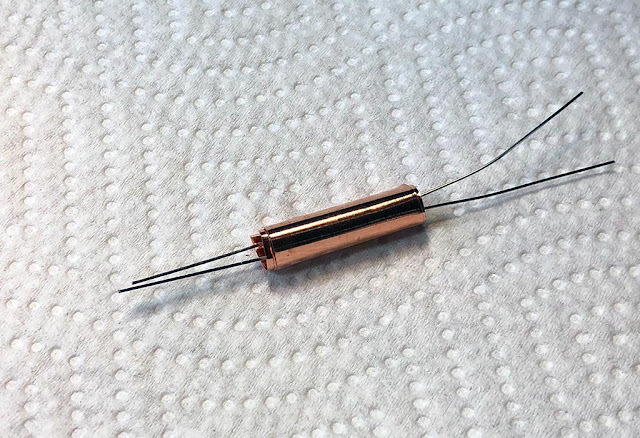 these are fun little doodads....use 'em for compressors, for trem pedals, for filters, and a lot of other things where you need to convert voltages or currents to resistance. 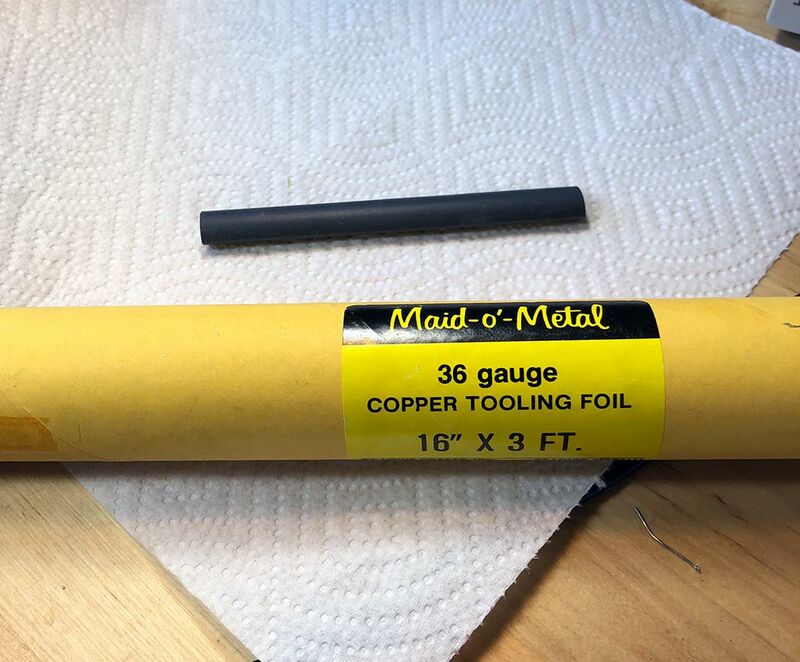 I have bought Vactrols and optos from surplus places like Electronics Goldmine, and retailers like Small Bear in the past, and had hours of fun, but in this post I am going to cover how for I built some optos for myself out of junk bin parts. Oh yeh!! It was easy! There is a diode in one end, and like all diodes, if you push too much current through it, you blow the Vactrol up. 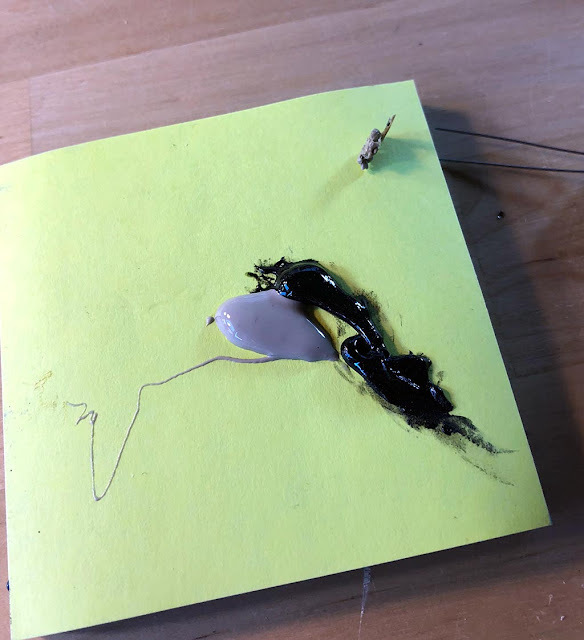 There is a diode in one end, and like all diodes, if you polarize the diode wrong, it won't work--you probably won't kill anything, but you also won't change the opto's output resistance, ever. Optos, at least the ones I have messed with, are not linear, and their characteristics vary a lot for unit to unit. So, CV goes in, but the amount of resistance change on the other end doesn't correspond in a 1:1 manner with the amount of current you pass through the diode even for the same kind of vactrol. Is that a show stopper? For things like volt per octave control VCO's tuned up for western music, so the damn thing stays in tune over 8 octaves, probably. In fact, Yeh, really, that's not gonna work. But, for everything else, maybe not. You have to choose your parts; sort of like building tube amps: experiment with different parts of the same value to get one you like. There is a lag (turbo lag sort of?) 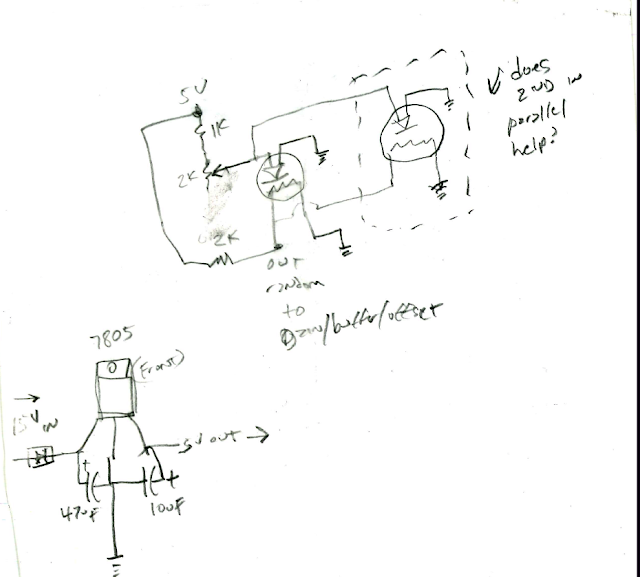 between sending current through the diode and having the change show up on the other end. Again, this makes optos good for some things but not for others. Why did I make one? 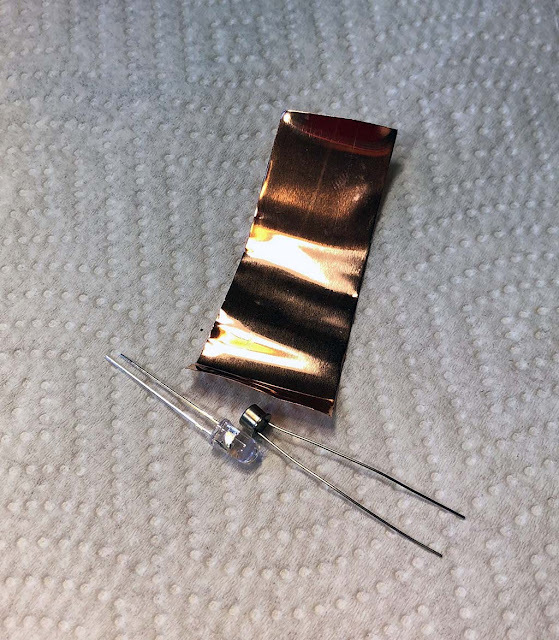 I was reading the electro-music forum and dudes were talking about using LED's from dollar store fake candles to make Lunetta type CMOS sounds. Wait, that's a SMOKING good idea! Why not use flicker LEDs in opto isolator form to control CV's? Fun weekend project! I bought 20 flame LED's from Goldmine and got to work. I don't know of a "random opto" you can buy right? So let's DIY! First, what to wrap it in. I think you can use anything that will hold in the LED's light--I read about using drinking straws covered in duct tape, film canisters, polystyrene tubing, whatever. I used a plastic tube for one that I got working on the perf below but here I am using sheet copper rolled up. OK let's roll that puppy! LED goes in one end, photo resistor in the other....super easy. Still with me? I put two more little pieces of shrink tubing on each end...not looking too shabby? 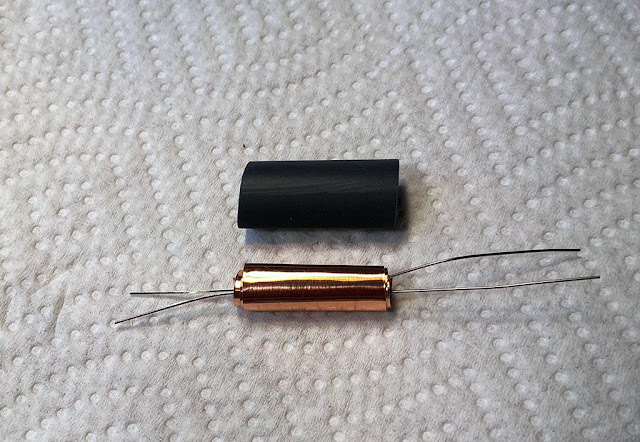 The end that has dissimilar lengths is the diode--the longer lead is +, the anode. I should have marked that with p-touch tape but I didn't, so we just have to remember that eh? J-Bweld, for that. 1:1 black dukey and "hardner" will do the trick. MMMMMM tasty! Now get a stirring stick stolen from Starbucks, stir em up and apply it to the ends of the Vactrol thingy. We want to keep ambient light from getting in and out of our little rolled masterpiece. 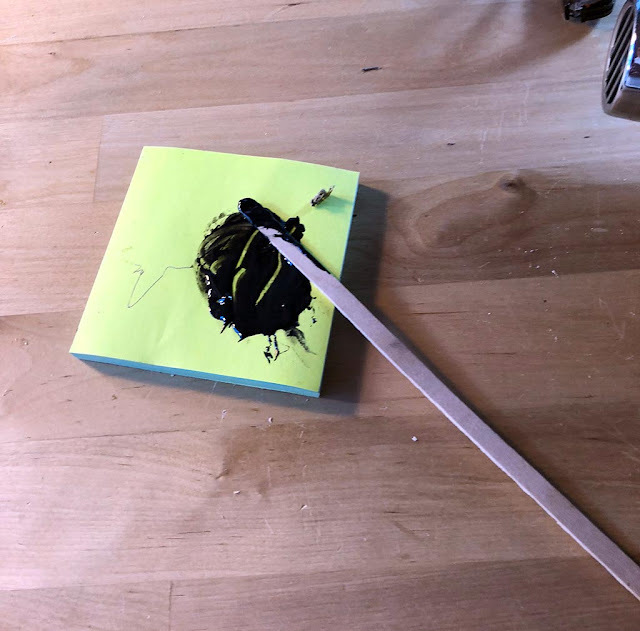 Hint from the crafts world--do any sort of small volume epoxy mixing on PostIt notes. When you're done, tear off the top piece with the dried glue and throw it away. OK let the "random vactrol" dry overnight. There are lots of circuits that use vactrols on the Internet, and I have a vactrol based VCF on my site that I'm tinkering with all the time. But for this I thought I'd start fresh and create a random CV source from the flame vactrol. I put that together on Perf and used a simple non inverting op amp buffer board from my website. For the buffer, don't use the resistor values I have on my site, for this project they aren't the right values. Instead I used a 5K trim for the offset pot, with 1K resistors in series with it, and then use a 4x gain with 100K and 390K resistors. if anyone wants the exact wiring setup I used on the buffer, put that in a comment below and I'll post it but I figure if you've made it this far you can figure that all out. This is powered from +/- 15v BTW which feeds the hand made 15V to 5V 7805 linear regulator circuit; most everything I do is. +/- 15V to start. 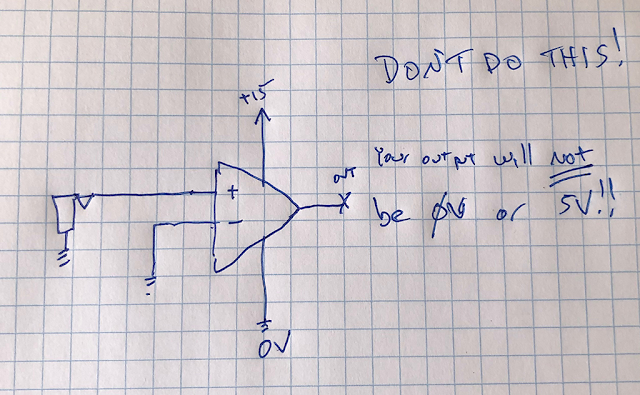 Use +/-15V for the op amp. Here is a tiny sample what the random output CV looks like on my scope. Yes that dancing trace is a CV randomly jumping around. 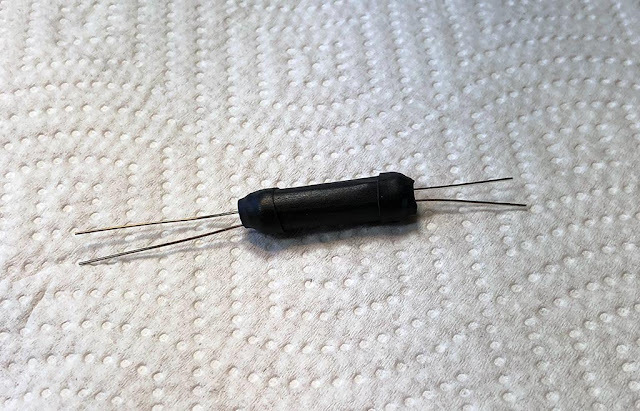 This DC voltage from the vactrol is buffered by the 741 and has a 1K output impedance resistor at its output like most everything else I do, so I figure "it will just work". I have no idea how it will sound however as a modulation source. UPDATE: I mounted everything on Perf and made a simple FracRack panel for it. Yes it works--good CV from 0V to 5V that sounds truly random. Sounds, well, interesting ??. I can't adjust the frequency of the signal as is, it sort of jumps around any way it wants, but perhaps could employ some sort of 4066 switching to help w/ to that, but not right now--need to keep working on other things. so: Not sure if I will really use it for anything serious but it was fun to build. Until next time, enjoy the random!